You can find VR experiences in two of the world’s biggest cities. They are very interesting. On the second floor of Madame Tussaud’s in the centre of Manhattan, you can be a Ghostbuster. 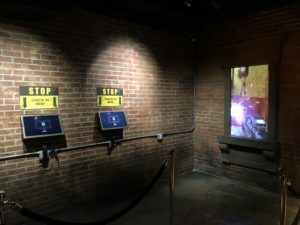 The Void, a company that offers what it calls hyper-reality, provides a VR experience modelled after the latest Ghostbusters movie, called Ghostbusters: Dimension. A combination of virtual reality, haptic feedback, and other physical effects. Before you get there, however, you have to brave the Times Square masses. Snaking past the crowds, anticipating their pace as they start and stop and turn to see another LCD commercial. You have to be a tourist in one the most touristic cities on this planet in order to play this game where you save that same city. 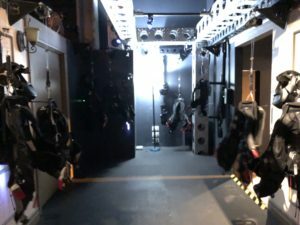 After you enter the game room, they strap a proton pack to your back–basically, a haptic suit containing two dozen vibrating patches and a CPU to power the headset. They put a helmet on your head with noise cancelling headphones and a hand tracking sensor, and together with a small group of others you enter a door. You can hear the other players and even see them, represented as 3D models. Three Chinese girls and a girl, in their own entertainment bubble, laughing with and stumbling into each other. After a short introduction, the first ghost shows up in the room you’re in. You can blast it to bits–as well as the furniture scattered across the room. You then move into an elevator to the top floor of a skyscraper, where you have to walk across wood planks on the outside of the building as it gets blown to bits, and you finally duke it out with the famous Stay Puft man, hellbent on destroying the city. You have to cross the streams with your co-players–if they speak your language and understand your screams to that effect, that is, instead of blindly firing at the furniture again. It’s hard to cooperate with tourists. But there are rain and wind effects and rumbling floor panels and the experience is altogether memorable. And so you wave goodbye to them as you part ways as you pick up your wallets and phones at the exit lockers, and you proceed to crowd the streets. In Tokyo, you can be Mario, Luigi, Peach or Yoshi in Mario Kart VR at VR Zone Shinjuku. You have to take the metro, huddling up to the Japanese work force, and walk through Kabukicho where Nigerian hustlers try to lure you into some shammy nightclub. There’s drunken Japanese teens hammering on Taiko machines and businessmen hammering on Pachinko machines. A couple times a day you see a group of tourists in shabby Mario costumes driving by. But they have to abide by the speed limits and traffic signs. In Mario Kart VR, you have hands. 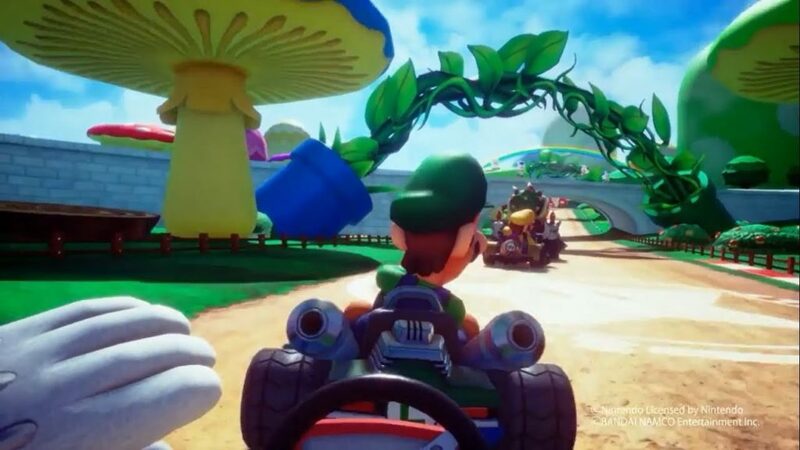 You can use them to steer, sure–but also to wave at your karting buddy, and, better yet, to grab green shells and hammers as you push each other into piranha plants. It’s exhilarating and dizzying, and after three minutes it’s over. You return to the streets, which are at least as flashy as the virtual circuit you just drove on.